Limit 4 per person. Must make a tee time; subject to availability. Not valid before 11AM on weekends and course holidays. Not valid for leagues, outings, cash back or with any other offer. Expires 8/1/2019. See rules that apply to all deals. A fantastic round of 18 that is inundated with all kinds of natural challenge, Fox Hollow’s awesome course isn’t to be missed by any Commonwealth golfer. 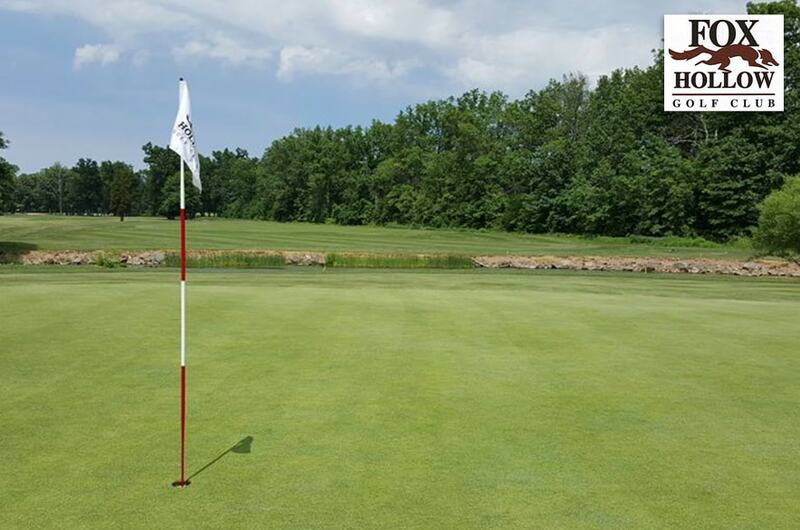 Located just a short half-hour drive from Allentown, today’s feature course, Fox Hollow Golf Club, is, as advertised, a tremendous golfing experience. That’s because everything from the layout and location to the groundskeeping and amenities are truly top notch – making it one of the best golf destinations anywhere in the Commonwealth. If you’re looking for a great place to play your next round of golf, you’ve already found it. As you make your way through the more than 6,500 yards of golf course at Fox Hollow, you’ll quickly notice that an array of natural hazards are purposely present on every hole. Starting with the par-4 first hole that requires your approach shot to clear a pond in order to hit the green in regulation, Fox Hollow’s layout is extremely heavy in H20, with the wet stuff coming into play on more than half of the course’s holes. Where you won’t find water, you will find huge areas of mature trees that punish errant shots that drift offline – especially from the tee box. Add to this the rolling natural landscape of the Pennsylvania countryside, as well as the cleverly placed large sand bunkers that protect many of the course’s greens, and you’re in for one of the most challenging, and rewarding, rounds you’ll play this year. Though each hole on Fox Hollow offers a true highlight of golf, the 18th hole, one of the area’s best finishing holes, certainly counts among the best. Playing 440 yards from the back set of tees, don’t allow the elevated tee box and wide fairway lull you into a sense of security – your work here is just beginning. As you plan your approach shot, be sure to take into account the shallow green and four sand bunkers that surround it – otherwise, you may end up inflating your score on the final challenge of the day. Rated 70.2/123 from the back set of tees (of which there are four), Fox Hollow is a perfect golfing destination for your next round. Don’t wait and miss this awesome opportunity – reserve your round now! Fox Hollow is a picturesque gem rolling gently over rich countryside punctuated by elegant vistas. This 6,600 yard PAR 71 David Gordon design offers challenges and enjoyment to golfers of all skill levels. From the tree-lined fairways to the undulating greens, Fox Hollow provides the ambiance and style of one of the must play courses in Eastern Pennsylvania. The Unami Creek which flows through the property, enhances the serenity of the course and also enhances the challenge by seducing wayward shots.